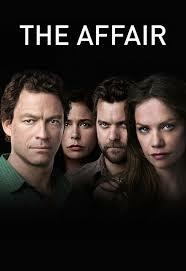 The Showtime series, The Affair, is set to return for season two on October 4th, 2015. Based on the trailer, we will pick up right where season one ended, with Noah Solloway (Dominic West) being arrested for the murder of Scotty Lockhart (Colin Donnell). 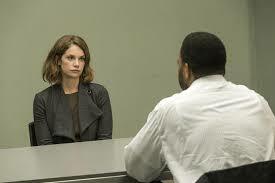 While, Noah is being handcuffed, his now wife, Alison Bailey (Ruth Wilson), promises that she will get him out of this. How did we get here? Ironically, even those who watched season one don’t know how Noah and Allison made their way back to one another, during the fallout of their own respective marriages. Throughout season one, both Noah and Allison are recalling their summer affair in Montauk while being interrogated by Detective Jeffries in the present. As the season progresses the viewers pick up on small clues that some time has passed between the past affair and the present murder investigation. Still, the amount of time between these two events is never given. The story is told through flashbacks and each episode has two parts; one tells the events from Noah’s perspective, the other from Allison’s. This employs the Rashomon effect on the plot revolving around a choice two characters make together, it takes two to cheat. Now in preparation for season two lets reflect on Mr. Pan’s (Noah) affair with Mrs. Karenina (Allison). Alison Bailey is somewhat of an enigma for both Noah Salloway and the viewers. That could be a result of presenting her perspective as part two in the pilot. During Noah’s narration, Alison is portrayed as a small town seductress, who actively pursues him. Then during Allison’s narration, she is depicted more elegantly, unsure, and apprehensive about her attraction to Noah. These contradicting perspectives spark an alarm to go off in the viewer’s mind, as we begin to suspect that one of the two is a liar. Then again employing the Rashomon effect on a story only proves that our memory is an unreliable resource. Two years prior to the series’ events, Alison’s only son died after drowning in the ocean. Without her son she feels alone in her marriage to Cole Lockhart (Joshua Jackson). They drifted apart through their grief. In comparison to the Solloway marriage, Allison’s affair with Noah is a repercussion to a detrimental event that destroyed her marriage to Cole. Noah’s infidelity tears the Solloway household apart. “I don’t know how to fix what broke between us Cole…it’s unfixable,” cries Allison in episode ten. 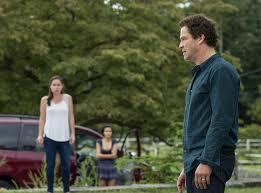 Allison mentally left Cole the day their son died, she perceived Noah as a way out of her hometown, not her marriage. Throughout the season we witness Allison reclaim her independence with her interactions with Noah. For example in the pilot episode, during her narration, we watch her save Sally Salloway from choking on a marble, at the Lobster Roll diner. During their first encounter, Allison is able to show an act of strength. Meanwhile, she is reduced to a closed-mouth housewife whenever in Cole’s presence. Allison Bailey’s story is a modern day, American version of Leo Tolstoy’s Anna Karenia; she pursues an affair with a married writer, because her love for her husband has become dormant. The affair takes place in Montauk, a place where people from New York City go to escape their real lives for the summer. Noah Salloway, finds this summer place as his own version of Neverland; a place where he can make a mistake and pursue his boyhood desires. For Allison Bailey, Montauk, her home, is a constant reminder of her son’s death. She discovers her own Neverland later in the season when she leaves Cole, and creates a home for herself in New York City. Noah Salloway is her ticket to the life she has always wanted. Now as we head into season 2 the question becomes, is Neverland a real place, or a fleeting summer mirage? Stay tuned.